Fightin Phillies - blogging Phillies baseball: Is Philadelphia ready for an American League team now? Is Philadelphia ready for an American League team now? I was having a conversation the other day with a good baseball friend of mine about whether or not the city of Philadelphia was ready for the return of an American League baseball team? 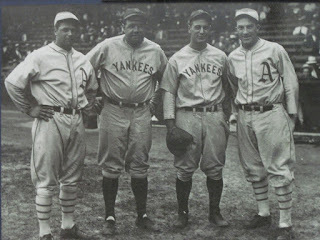 The American League was formed back in 1900 when it was renamed from the Western League. The American League declared itself the second major league in 1901. League president, Bancroft Johnson, created new teams in the east, and eliminated some teams in the west. The Philadelphia Athletics birth into existence was a very interesting story, former catcher, Connie Mack was tapped to manage the club. Nap Lajoie, who used to play for the Phillies, jumped over into the new league onto the newly formed Athletics. Lojoie won the AL batting crown with a .426 BA the first season, but it was to be shortlived for him as the PA Supreme Court ordered his contract with the Athletics be invalidated, and they ordered him back to play with the Phillies. The A's were a powerhouse with or without Lajoie, they stormed into the newly formed American League (which merged officially with the National League in 1903) this newly born A's team won the AL pennant 6-times, (1902,1905,1911,1913,1914) and won the World Series 3-times in 1910, 1911, and 1913. Is Philadelphia a big enough sports town to carry both leagues in the city today? Imagine a city where we didn't have to wait for interleague play to go and see the Red Sox or Yankees play in the city of Philadelphia. Like Mike Trout? He would be playing here at least more than he does now. Aaron Judge? ditto, all the American League stars would be travelling through Philly if we had our own American League baseball team. What would we name the team? Well, the A's are still Oakland, and will be for some time apparently. The new Philly American League team would have to be newly named. I've recently been around the University City area in Philadelphia, the area where esteemed colleges churn out bright minds into all types of occupations around the world. The setting would be perfect to house this new Philly American League team. 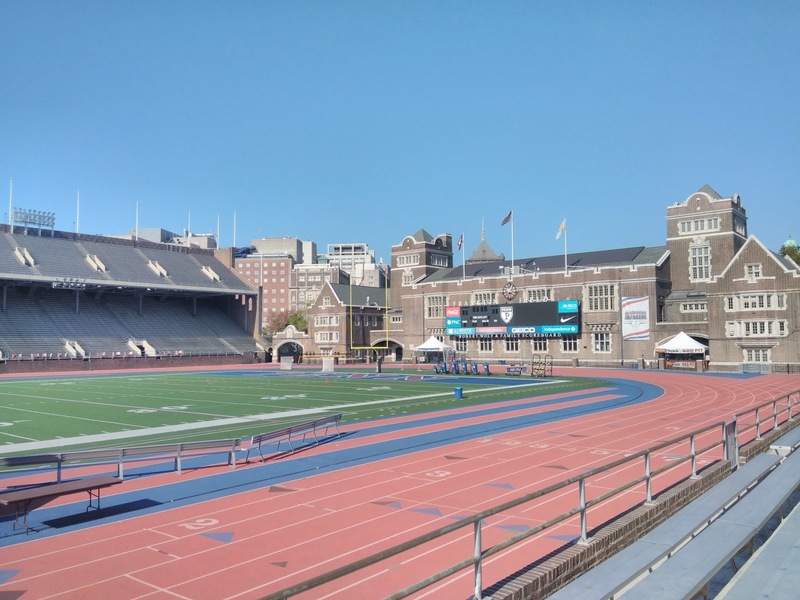 My vote would be, "The Philadelphia Quakers" - let this team occupy Franklin Field, the stadium is rarely used and is still in great shape. 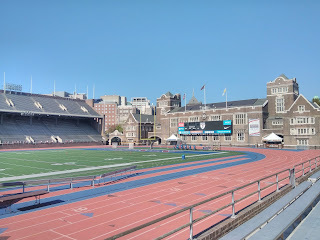 Once home to the Philadelphia Eagles, from 1958-1970, this field would be a perfect location to Center City and the college setting that it flourishes in currently. Baseball is ripe to expand, the stars seem plentiful, and there are cities that are clamoring to get back 'into the game.' Montreal wants back in, and other startup cities in the South such as Nashville, would be an ideal expansion for MLB to add a few more teams to the mix. Time will tell, partnerships would have to be formed in the case of Philadelphia obtaining an American League franchise, but I really think it would take off here. It wouldn't necessarily compete with the Phillies either, we have really become a baseball town here in Philadelphia. It would be interesting to see an American League team in one of America's greatest cities!